Do you want a straighter smile? Have crooked teeth impacted your dental function or compromised your oral health? Fortunately, Dr. Mohammed Saccoh and his associate, Dr. Kristina Nevy, offer various forms of orthodontics at their Joppa, MD practice. At FCI Dental Care, options include traditional braces, Invisalign®, and FASTBRACES®. Each of these treatments can address cosmetic issues to enhance the look of your smile and your overall appearance. Plus, traditional braces and Invisalign® can improve the balance of your bite. In this way, our orthodontic care can reduce wear and tear on your teeth, and it can relieve the pressure on your jaw joints. Dr. Saccoh or Dr. Nevy will conduct a comprehensive consultation to determine the right treatment option for you. 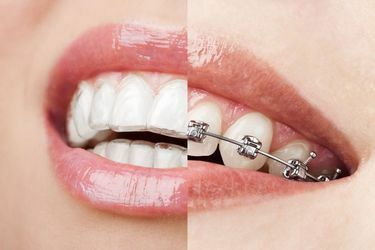 Traditional braces are an affordable and effective way to treat a wide range of orthodontic issues. 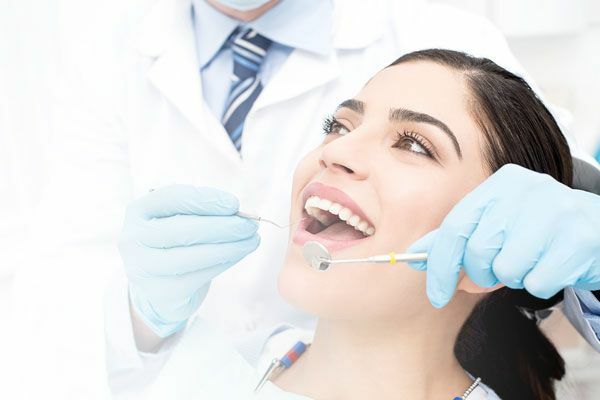 They can correct cosmetic alignment problems, such as slightly crooked or overlapping teeth, or more serious issues such as overbite, underbite, crossbite, or open bite. With three options to choose from, we can provide care to fit your health needs and aesthetic goals. If you choose traditional braces, Dr. Saccoh will attach small metal brackets to each of your teeth. An archwire will run between each of the brackets. Rubber bands called o-rings will keep the wire in place. At periodic intervals, your dentist will tighten the wire, and the pressure will gradually cause your dental arches to shift into their new positions. Treatment typically takes18 to 24 months. Invisalign® can correct all but the most severe orthodontic issues. Therefore, if you are looking for a subtle alternative to braces, this treatment may be right for you. When you choose Invisalign®, your dentist will take digital impressions of your teeth, using them to design a series of clear, removable aligner trays. Like braces, they will place a gentle pressure on your dental arches. As you switch aligners approximately every two weeks, they will gradually cause your teeth to shift into alignment. Invisalign® is much more discreet than standard braces. They allow you to eat any foods you choose, and you can continue to brush and floss normally. Treatment time is comparable to that of traditional braces. As with traditional braces and FASTBRACES®, Invisalign® can be an effective way to alleviate symptoms of TMJ disorder. FASTBRACES® can address a broad range of orthodontic issues in an expedited timeframe. This option may be appropriate if you struggle with high canines, crowding, an overbite, an open bite, a crossbite, or gaps between your teeth. 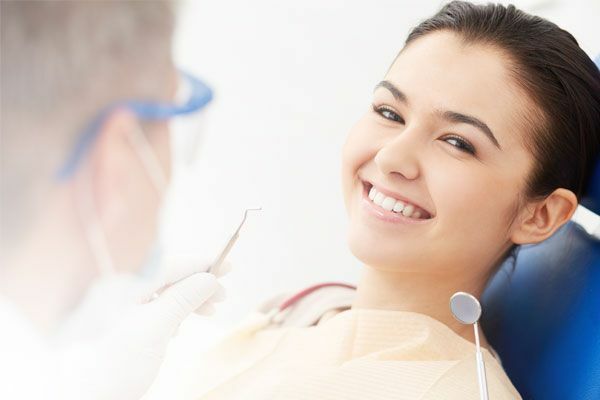 Your dentist will create a one-of-a-kind treatment plan, determining the exact force needed to achieve the necessary results. Then he or she will attach triangular brackets (rather than standard square brackets) to each of your teeth. This unique shape will increase the space between brackets, increasing the flexibility of the arch wire. As a result, the wire will cause the roots of your teeth to shift at the beginning of your treatment. During treatment with traditional braces, your roots would not shift until the later phases of orthodontia. With this unique approach, your braces could come off in just 20 weeks. Your dentist can determine if this special orthodontic treatment is right for you. With three orthodontic options to choose from, we can provide care to fit your health needs and aesthetic goals. Contact our office today to find out which type of treatment is right for you.